Now available as an e-book on Amazon and at cooldudespublishing.com, and in paperback on the CreateSpace store, INDIGENT’s release day has arrived! 😀 I’m so excited, and I know I’ve said it a bunch, but publishing alongside F.E. Feeley, Leona Windwalker, Mari Evans and Shaye Evans… it’s surreal! I’m stoked! Thankee to the gods for letting me be a part of this! Indigent has been produced to entertain and delight and all the stories leave the reader with a “feel good” state of mind. 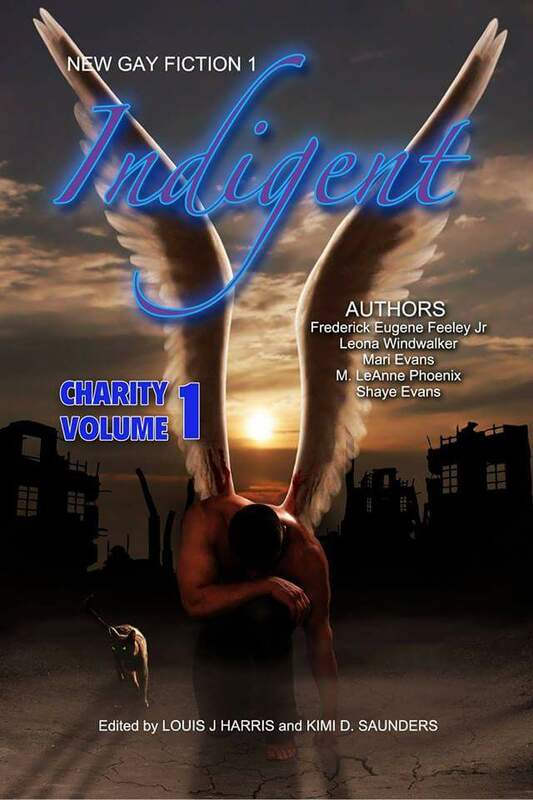 Frederick Eugene Feeley Jr’s “Indigent”, after which the anthology takes its name, brings the reader to witness an apocalyptic war between the good and evil that rages in one man’s mind. Soon he will know that his problems are insignificant compared to those of others. Mari Evan’s “Stumbling into Forever”, involves a handsome young vampire who will learn that just a sip of blood is the difference between love and freezing to death. Leona Windwalker’s “If Only the World”, takes rejection to another level. A heartbreaking story that is turned on its head by the kindness of strangers. Shaye Evans’ “Rescued”, is a contemporary social statement about the aftermath of a young man’s life after his drink has been spiked at a bar. M. LeAnne Phoenix’s “Higher Love”, takes us on an almost spiritual journey through the minds of two people who have never met, but have spoken on a telepathic level. When they do come together, that bond is already cemented, but there is a price to pay.